QUIET AND LAID BACK! Nora is a remarkable four bedroom, two bath cottage on quiet Shoresurf Lane in Frisco. This wooded corner lot is covered with shade and privacy. 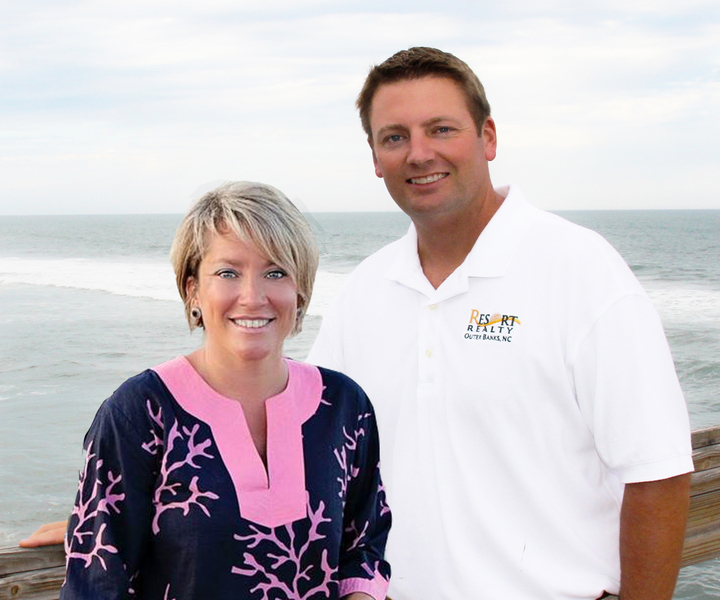 It is a short walk away from one of the nicest family beaches on the entire Island. With new stairs leading up both sides of the cottage and a new entrance deck you will quickly begin to experience the “above average” feeling of Nora. As you enter you will pass the washer and new dryer as you find yourself in the expansive living-dining-kitchen combo. A fully equipped kitchen makes every meal a pleasure rather than a chore to prepare. At either side of the living area you will find two secluded bedrooms and a full bath. On one side you will see twins in one room and a queen in the other. On the other side are another set ot twins and another queen. Step through the living room out onto the large screened porch with a wonderful picnic table and ample seating. Just toss the crabs out and you are ready for a beach tradition. Take the ladder up to the roof deck and get ready to enjoy both sunrise and sunset views over the water. 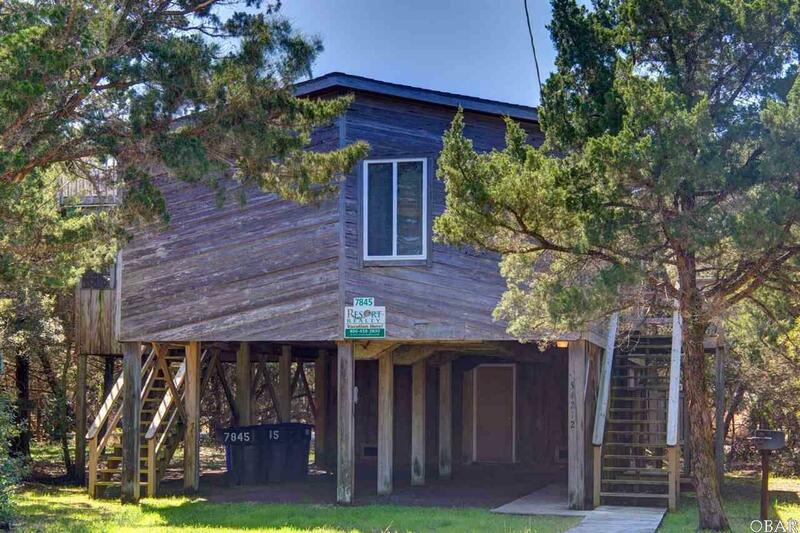 This fantastic cottage is turn-key ready to either move in today, have your second home on Hatteras or place it in rental service and begin collecting monthly income. Either choice gives you your very own piece of Paradise! Do not let this opportunity slip away—come see it TODAY.